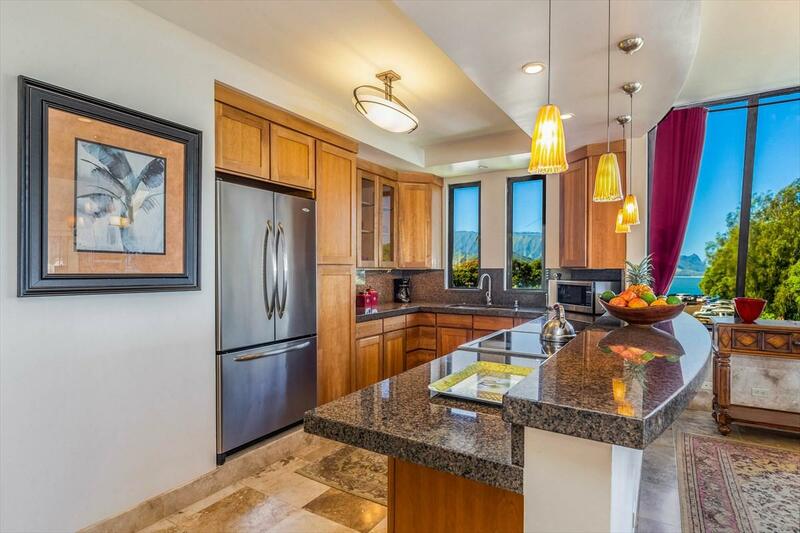 #401 is the premier penthouse, top-floor, end unit at oceanfront Puu Poa. 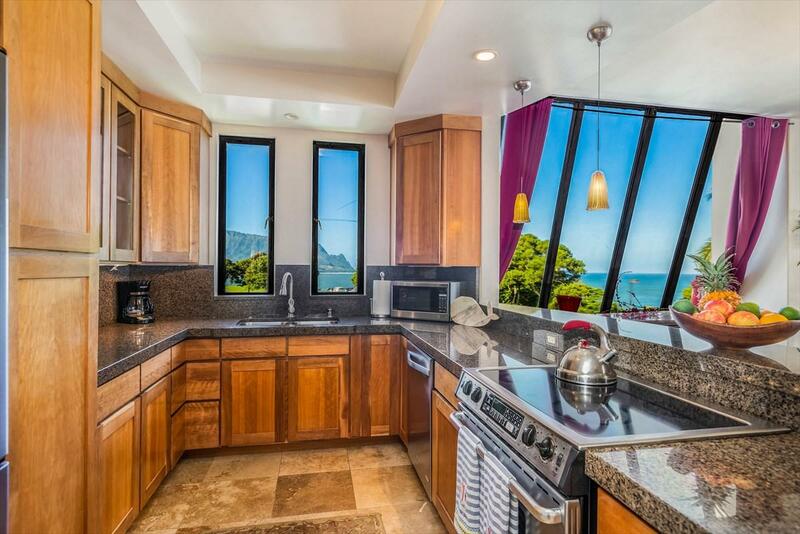 With additional windows facing Bali Hai, this elegant condo is perfectly located to provide spectacular views in every direction: a panoramic sweep of the Hanalei Mountains, direct views of Bali Hai and epic ocean views.This remarkable condo features an open floor plan with cathedral ceilings and has been completely renovated with granite counters, travertine tile flooring, Air Conditioning and top-of-the-line appliances. The deluxe master suite bathroom is resort style and made for relaxation. Two completely private lanais are perfect for sunbathing, seasonal whale watching or marveling at the sunsets over Bali Hai. 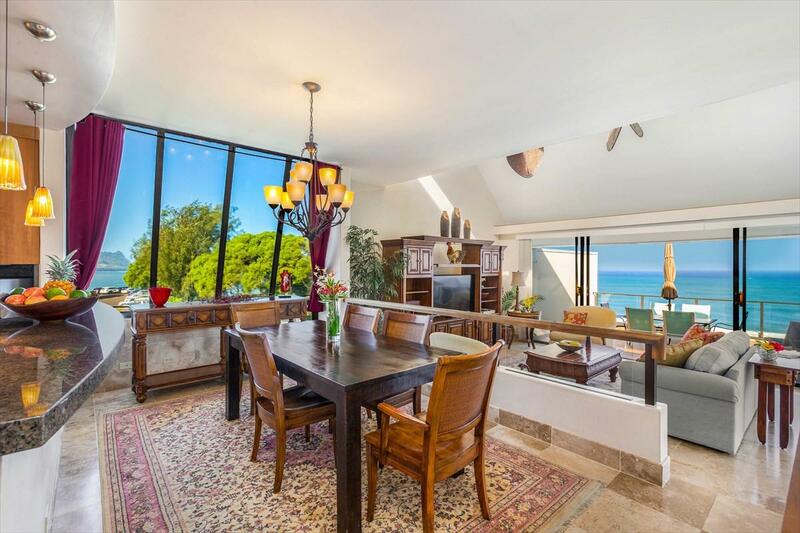 As a long-established and highly successful vacation rental, #401 is being sold turn-key with luxury furnishings and dcor included. 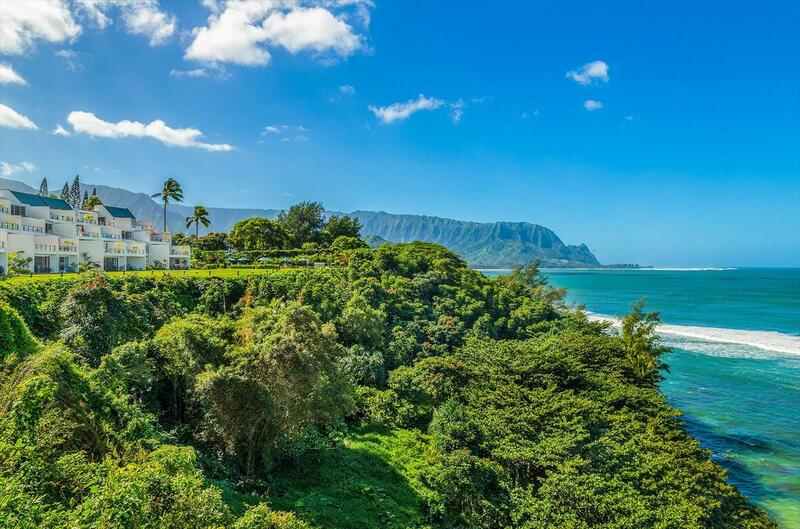 Adjacent to the first-class Princeville Hotel and with Hideaways Beach (a premiere snorkeling spot with sandy beach) just steps below, a private tennis court and pool, this property is the best of the best!One Seller holds an inactive real estate license.